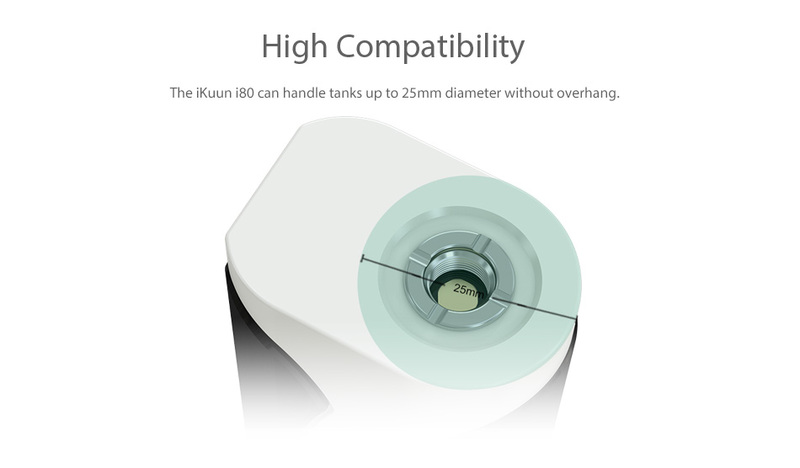 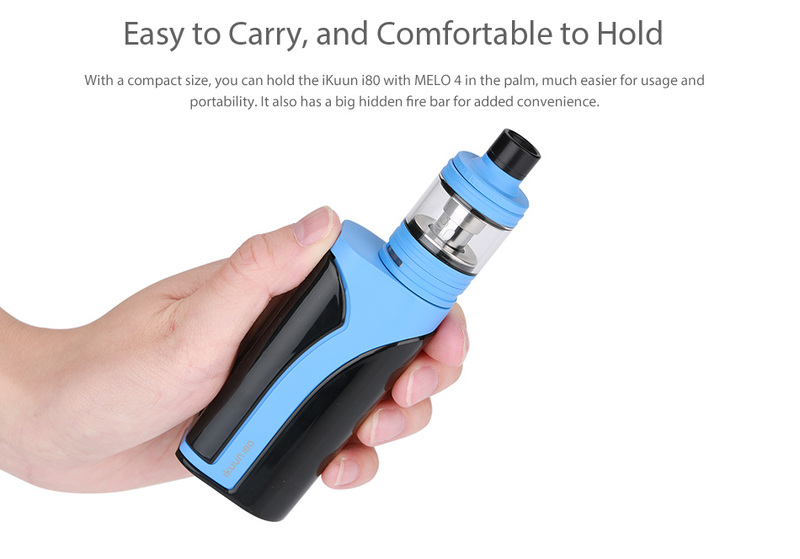 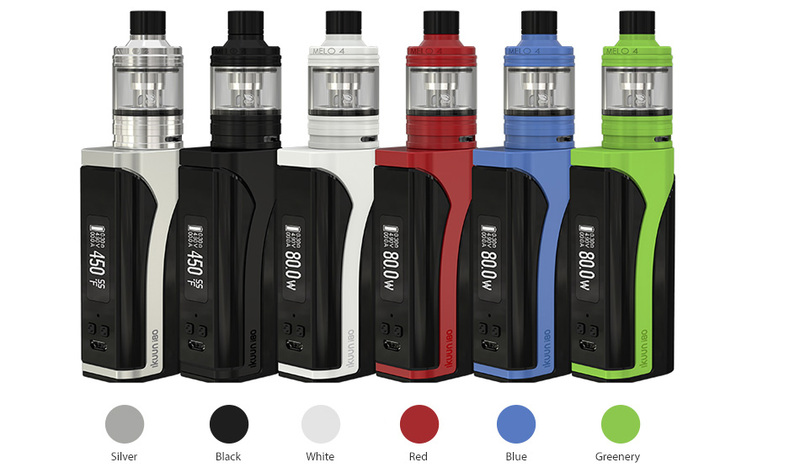 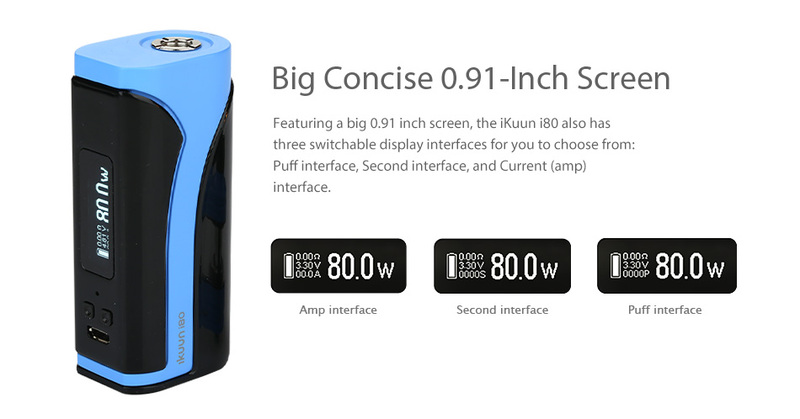 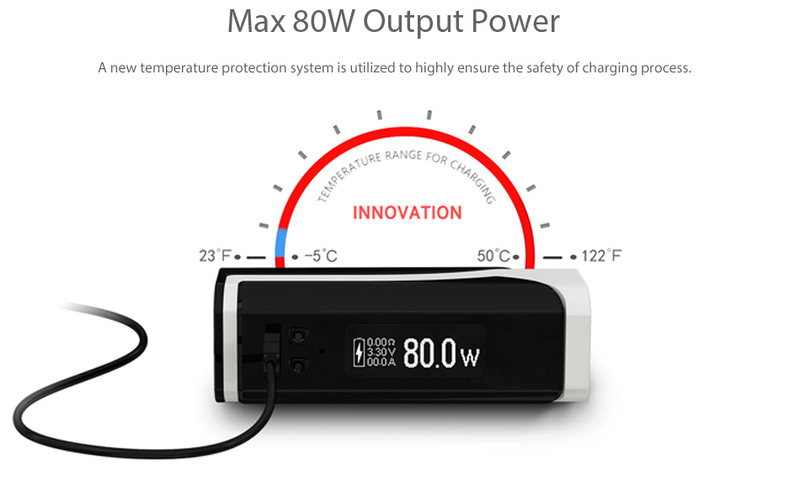 Eleaf iKuun i80 is a compact box mod with built-in 3000mAh battery, featuring maximum 80W output power, big 0.91-inch screen and VW/TC(Ni/Ti/SS)/ TCR(M1/M2/M3) modes. 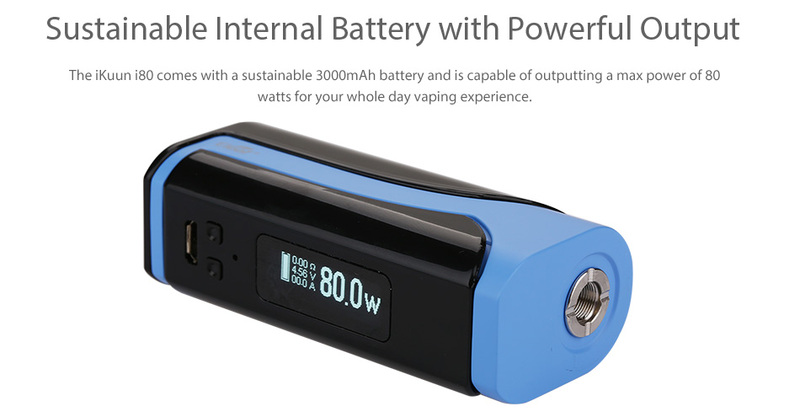 It also supports firmware upgrading and USB charging. 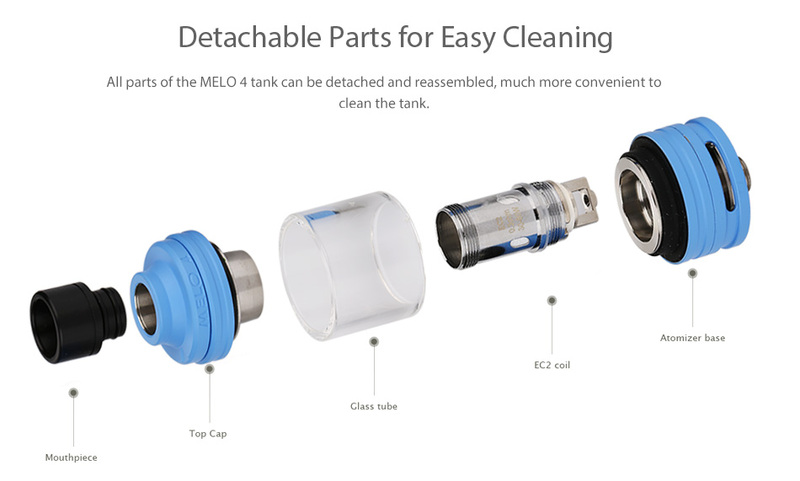 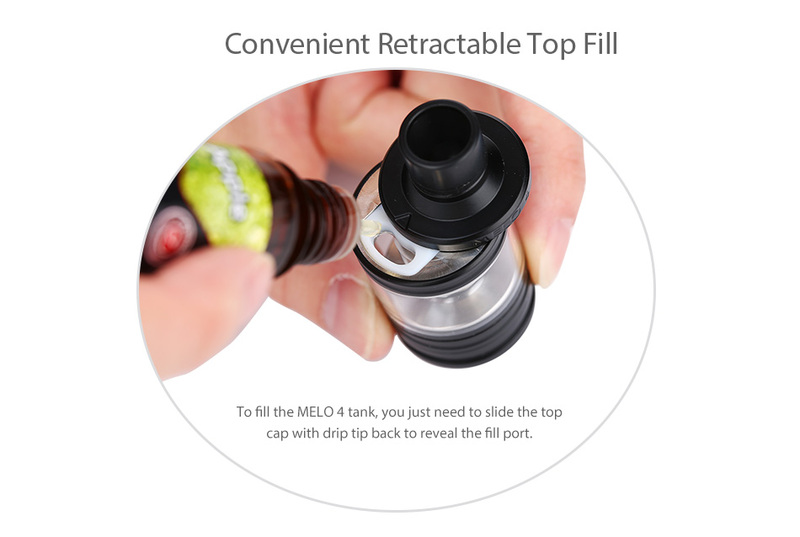 The latest Melo 4 tank atomizer adopts new EC2 coil and delivers an impressive vaping experience.